By sharing your unique skills and experience you’ll help generate new ideas and new ways of doing things, helping the communities you work in lift themselves out of poverty. We’re not about delivering quick fixes, but instead we focus on long-lasting, sustainable change, that will impact generations to come. 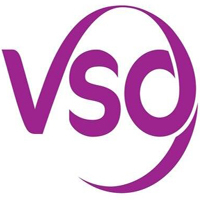 Join us as a VSO volunteer and help us work towards our vision of a world without poverty. As a private sector engagement Expert, you will mainly be involved with establishing, maintaining and strengthening relation with private sector so that Lake Zone Youth Empowerment trainees can access apprenticeship, internship training and possible jobs. You will also be responsible in facilitating communications between industries and the project. If you are passionate about using your engagement skills to demonstrate the positive change VSO is doing in Tanzania, you are the ideal candidate! We believe progress is only possible when we work together and that strong partnerships are crucial to delivering positive change. That’s why we work with over 500 partner organisations, from local and national governments, to businesses, NGOs, funders, charities and community groups. Currently, over 30% of our people are recruited from within the country in which they work, and we continue to grow the share of community and national volunteers involved in our programmes. We also send increasing numbers of volunteers from one developing country to another. However, our vision has remained the same; to build a world without poverty. The Communications Specialist is responsible for maintaining internal communications channel to keep project beneficiaries and partners informed of Lake Zone Youth Empowerment project presence, information and events. The Specialist will also ensure the production of quality communication materials and information. If you are passionate about using your communication skills to demonstrate the positive change VSO is doing in Tanzania, you are the ideal candidate! • Bachelors or Master’s Degree in communications, public relations, journalism or a similar discipline. • Several years of relevant professional experience in a comparable position. • Proven experience in developing and implementing communications strategies. • Strong writing, editing and communications skills, next to experience in developing print and digital communications materials. • Strong in expressing creativity in all different communication channels and ability to quickly switch between them.